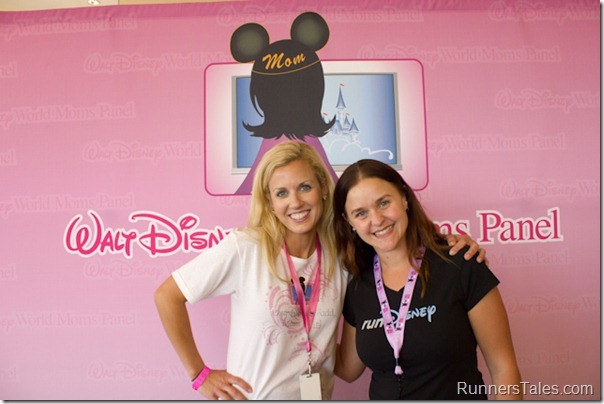 Meet Rachel Wright, seen here with current WDW runDisney Mom, Lori L.! Who is you favorite Disney character and why? Dopey is my favorite Disney character. I think I fell in love with him when I first saw Snow White and the Dwarfs. I couldn’t pronounce dwarfs properly so I called them doors for the longest time. My dad still teases me about it. Out of all the dwarfs, he is my favorite because of his silliness and heart-warming sincerity. Besides, he is the only one that doesn’t say a word and has no beard! 1.5 year (almost 2). I started running on February 1, 2011. That was the day that I decided to do something about my fitness level. A few weeks before that, I decided to lose weight and had been working on my eating habits. On that day, I finally felt like I was ready to start an exercising habit. Not every run is great and I am certainly not the fastest runner out there but I truly enjoy all of the things that running has brought me. What is your favorite runDisney event? My favorite runDisney event is probably the Walt Disney World Half Marathon in January. There is just something magical about running through Cinderella’s Castle that brings back all of my childhood memories spent at Walt Disney World. I have also run the Wine and Dine Half as well as the Tower of Terror 10 Miler, which are great races as well. What is your favorite non-runDisney event? My favorite race (outside of runDisney) was the Inaugural Rock ‘n’ Roll St. Petersburg race. The course literally ran through my hometown and right past several of my favorite places. The race was very well organized and the course was fantastic! What got you interested in the Disney Moms Panel? I first found out about the Disney Moms Panel at the Meet Up and Eat Up event during last year’s Wine and Dine Race Weekend. Several of the other people participating were going to a special event later that day. I became interested in their conversation and had to know more. When I checked out the website, I fell in love with the concept of everyday people giving travel advice, recommendations and suggestions about Disney. That is something that I do all the time to friends and family who don’t visit Walt Disney World nearly as much as I do. Last year, I was too late to apply and didn’t think I would have been eligible because I am not married or a mother. When I realized that I didn’t have to be either, I knew I was going to apply this year! Thanks for sharing, Rachel – you are another shining example of my definition of MOMs 🙂 Good luck in all your running, Disney and Moms Panel ventures!